In the past entrepreneurship was viewed (and taught) as a single process, with a single approach to creating a business plan and securing funding for a startup. 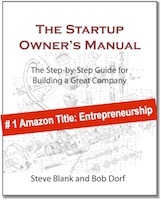 The best entrepreneurship textbooks and blogs assume that advice to startups is generalizable. But as I learned from my students this “one-size-fits-all” approach does not work for all startups. Different market opportunities present radically different startup risks and costs. I began to realize that entrepreneurs (and their professors) act like every vertical market and industry has the same set of rules. The guidelines I had originally proposed to my students worked for enterprise software or Web 2.0 startups, but medical device, biotech and cleantech startups required radically different approaches. So the first heuristic is: do not assume the startup rules are the same for all vertical markets. There’s nothing special about this list other than it represents a diverse set of markets. If your market is missing, just add it as we go through this discussion. What vertical market are you in? Do you have domain expertise in your market? Do you have advisors who are domain experts in your market? Do your potential investors understand your market? What is it that’s unique about the market I’m in? We’ll talk about the implications of what vertical market you’re entering in the next few posts. I would like to humbly suggest banning the term “vertical” altogether. To insiders in any market, the very use of the word reveals an outsider who does not understand their industry and tries to frame it in comparison to some largely irrelevant “horizontals”. Competing with such companies is pure pleasure – just harp on their mis-understandings of the market. There are no verticals, there are industries and markets. I think your comment makes my point. The post is not written for “insiders” or domain experts inside a vertical. The goal is to give “outsiders,” learning how to think across multiple verticals, a set of tools to analyze the difference. The next few posts will make this clear. I understand what you meant, but would like note that even “internal” use of this “vertical” terminology often colors people’s attitude towards their markets (vertical vs. horizontal). Before long this can spill out into external communications with some pretty horrific results. So I’d still rather refer to “industries” and “markets”. I told the class that all you need is a half a million dollars to start a company. All teams raised their hands and screamed: we hundreds of angels and dozens of VCs, all of them say they will only fund deals with prototypes, beta customers, first revenue and executive teams all in place, and they say it will be 2 years from now because their coffers are out of cash and LPs in default. Yeah, I said. You kids have to learn to do it the old fashioned way they did it before they new economy and Silicon Valley. Bootstrap for years! In economics, there is an industry stack. It is actually a tree that organizes all sectors, industries, and sub-industries. The verticallity of a particular market refers to its height in the tree. 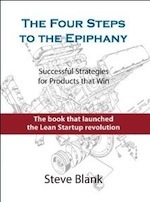 In defining a product, you can easily move up or down and accidentally make a mess of your target market. A vertical market has a culture. It has a vocabulary. It has its own meanings. Focusing on level of the industry stack will help you get your meaning right, which leads to successful communications within that market. Nothing is generic in a vertical. Do not move around into other verticals within the same branch of the overall industry tree. Moore’s technology adoption lifecycle tells us to find a client. That client is inherently in a vertical, so stage gate the vertical for seats and dollars. Build the client’s visualization with your technology, but your technology is not the product. The products you develop in the bowling alley are there to carry your technology and get it adopted. Moore’s bowling ally does tell us to get eight clients in different, widely separated verticals. You will sum them going into the horizontal market, so spread them out. Vertical markets are a risk and cost reduction strategy. You can bootstrap without VC money. Don’t let VC money slow you down. With an appropriate marketure, requirements elicitation processes, and a product roadmap organized around minimal marketable functionality, yoiu can build your market, company, technology, and product simultaneously and symmetrically. 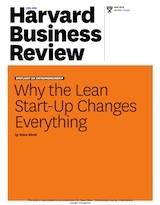 No, linearity in business is a tragic myth. Make no claim beyond the walls of your current market. Know that market transitions happen even in the horizontal market. Linearity leads to such advice as listening to the voice of the customer, which has driven enough companies into the ditch. Non-linearity is approaching. Non-linearity is the constant. Non-linearity is the change that you must be ready for. When the environment changes, its too late to talk about change. Dmitriy is right – we should ban the use of industry buzzwords like “verticals”, “metrics” and “horizontals” altogether. It’s nothing more than self-indulgant magniloquence regurgitated by androids that read it in a training manual and seek to elevate themselves above those who reside outside their domain (read: “If you don’t get it, you can’t participate”). The original terms we used were perfectly fine…why %$#@ with them? Why are you getting stuck on a word? Vertical is a reference term (or a category) not an actual industry. “vertical” works perfectly fine in quickly telling you about a general direction of a company’s business model. And while in some cultures it is ok to “ban” words, that’s not really what we do in the US.